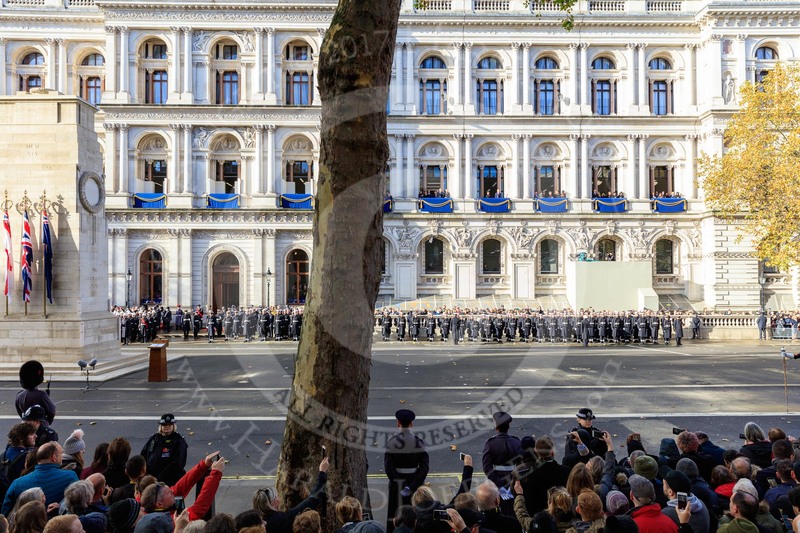 The Service detachment from the Royal Navy is in position on the Foreign and Commonwealth Office side of Whitehall before the Remembrance Sunday Cenotaph Ceremony 2018 at Horse Guards Parade, Westminster, London, 11 November 2018, 10:20. 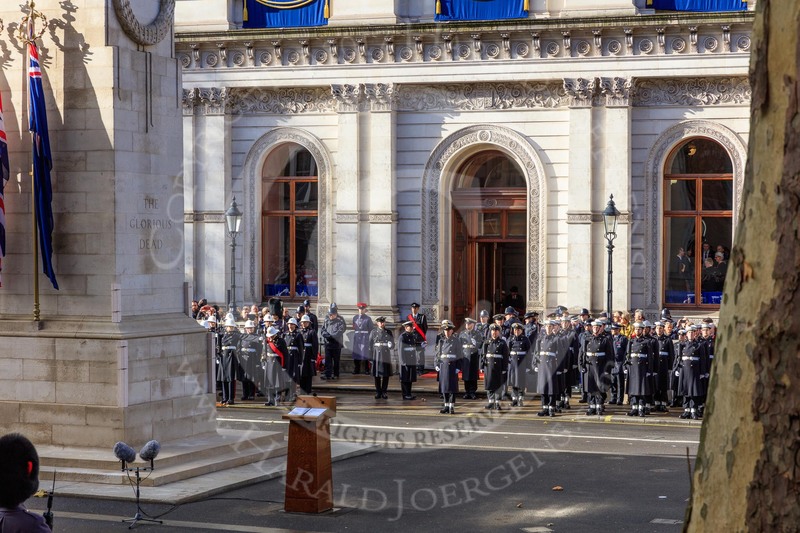 The entrance of the Foreign and Commonwealth Office with the Service detachment from the Royal Marines on the left, and the Service detachment from the Royal Navy on the right, before the Remembrance Sunday Cenotaph Ceremony 2018 at Horse Guards Parade, Westminster, London, 11 November 2018, 10:20. 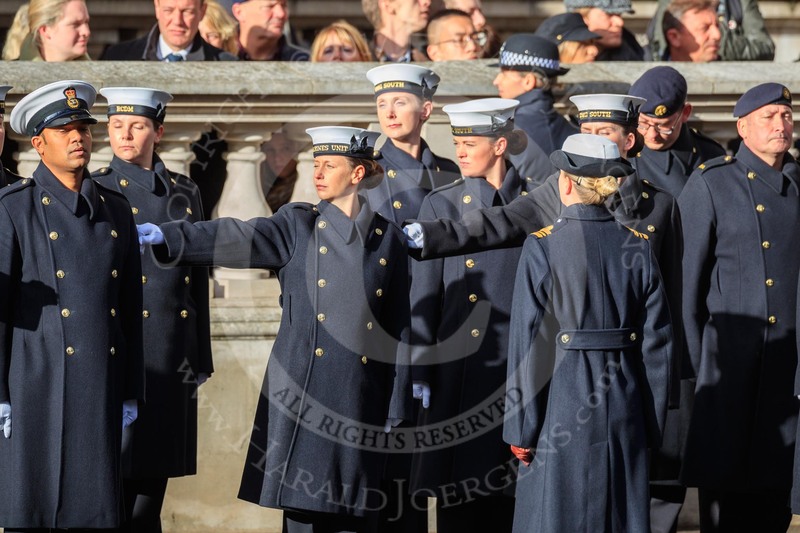 The members of the Service detachment from the Royal Navy are checking their distance from each other before the Remembrance Sunday Cenotaph Ceremony 2018 at Horse Guards Parade, Westminster, London, 11 November 2018, 10:21. 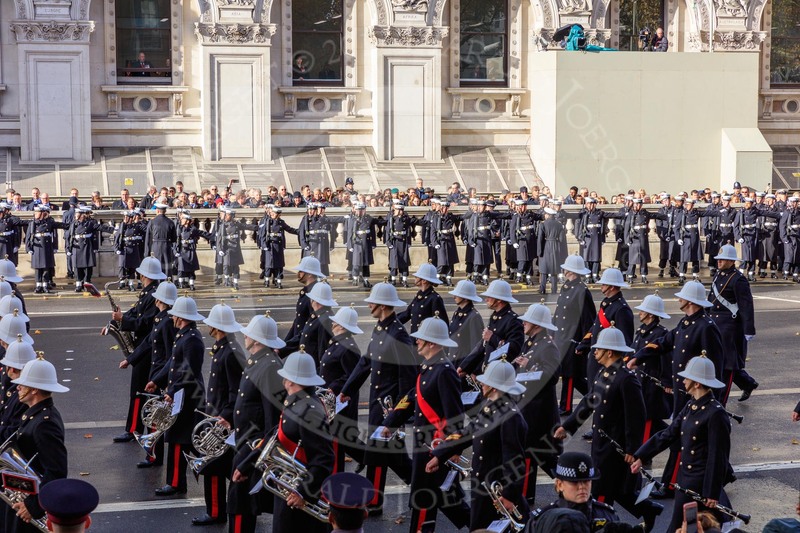 In front is the Band of the Royal Marines. 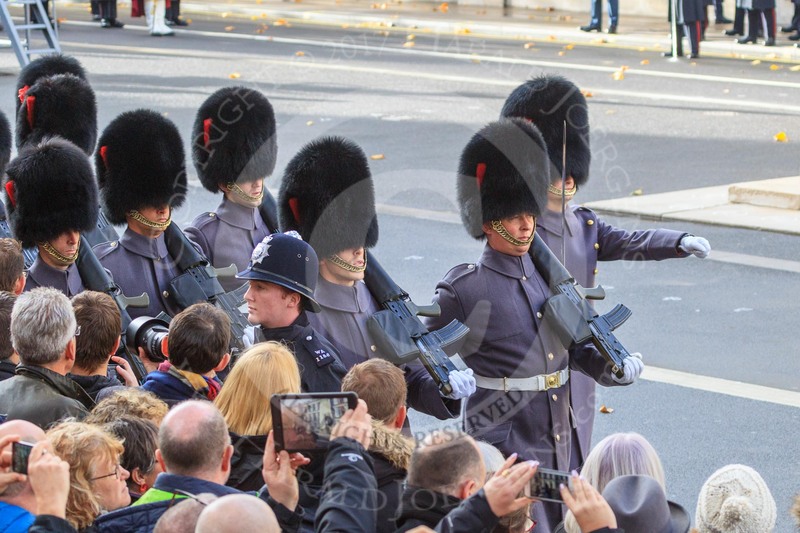 The members of the Service detachment from the Royal Navy are checking their distance from each other before the Remembrance Sunday Cenotaph Ceremony 2018 at Horse Guards Parade, Westminster, London, 11 November 2018, 10:21. 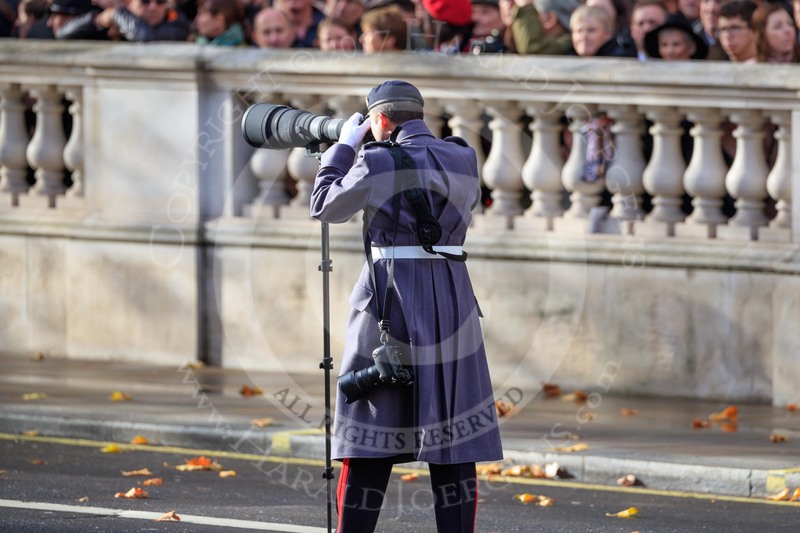 An army photographer shooting the service detachments arriving on Whitehall before the Remembrance Sunday Cenotaph Ceremony 2018 at Horse Guards Parade, Westminster, London, 11 November 2018, 10:23. 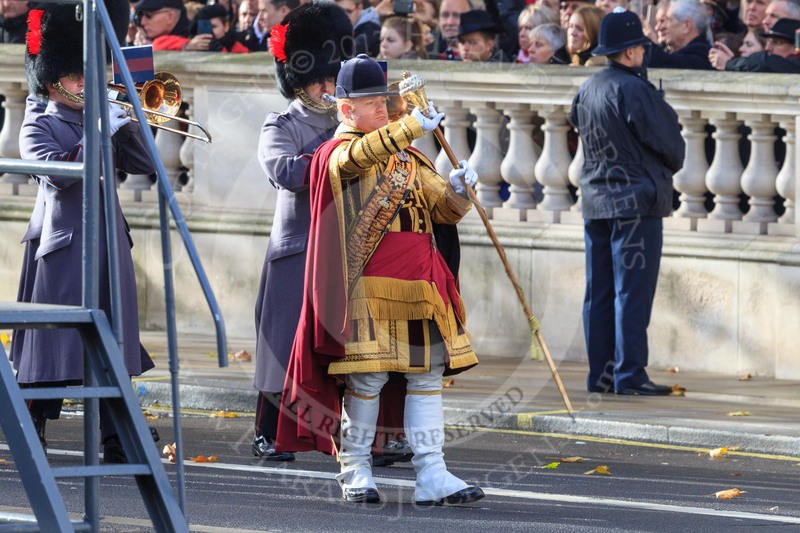 The Senior Director of Music Household Division, Lieutenant Colonel Darren Wolfendale, before the Remembrance Sunday Cenotaph Ceremony 2018 at Horse Guards Parade, Westminster, London, 11 November 2018, 10:23. 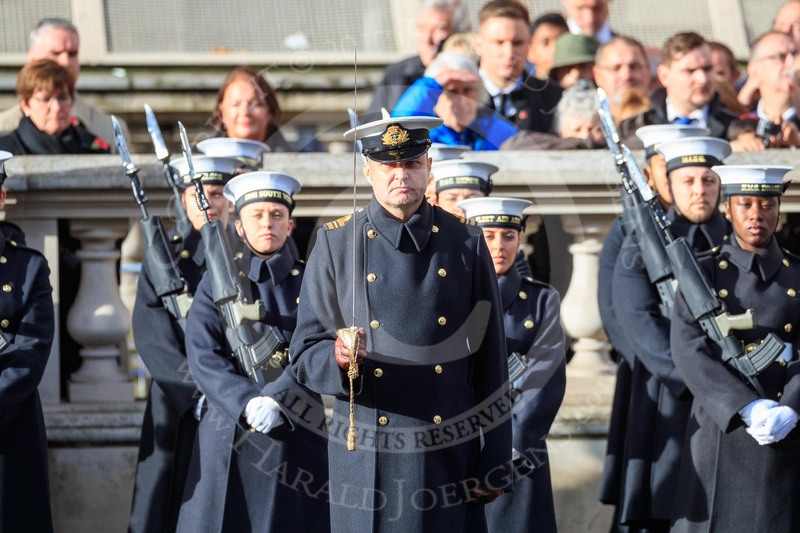 A Lieutenant Commander of the Service detachment from the Royal Navy saluting before the Remembrance Sunday Cenotaph Ceremony 2018 at Horse Guards Parade, Westminster, London, 11 November 2018, 10:23. 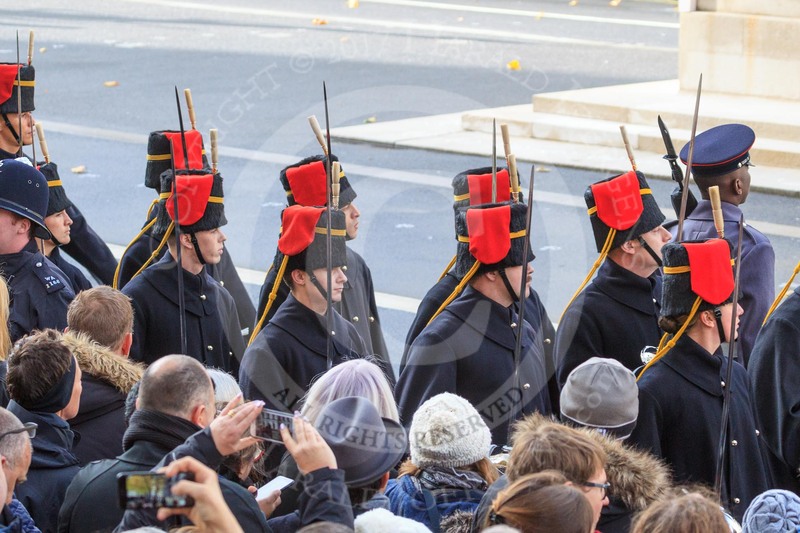 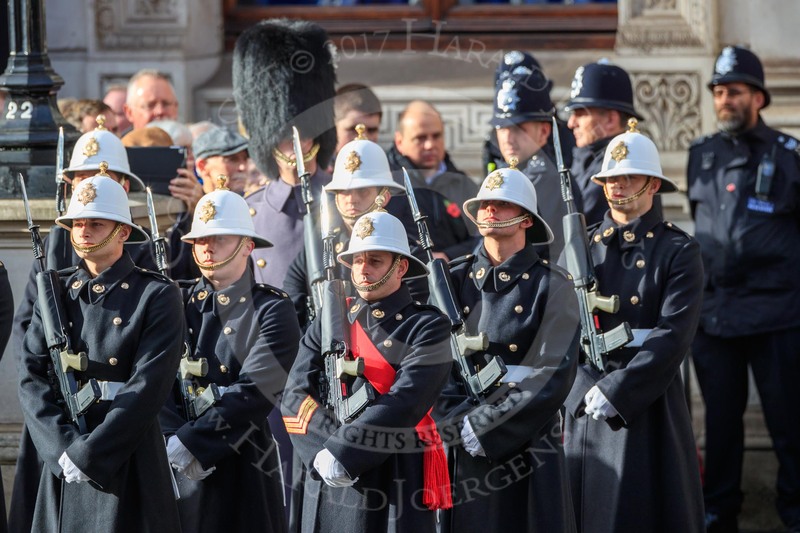 Members of the Service detachment from the Royal Marines on Whitehall before the Remembrance Sunday Cenotaph Ceremony 2018 at Horse Guards Parade, Westminster, London, 11 November 2018, 10:23. 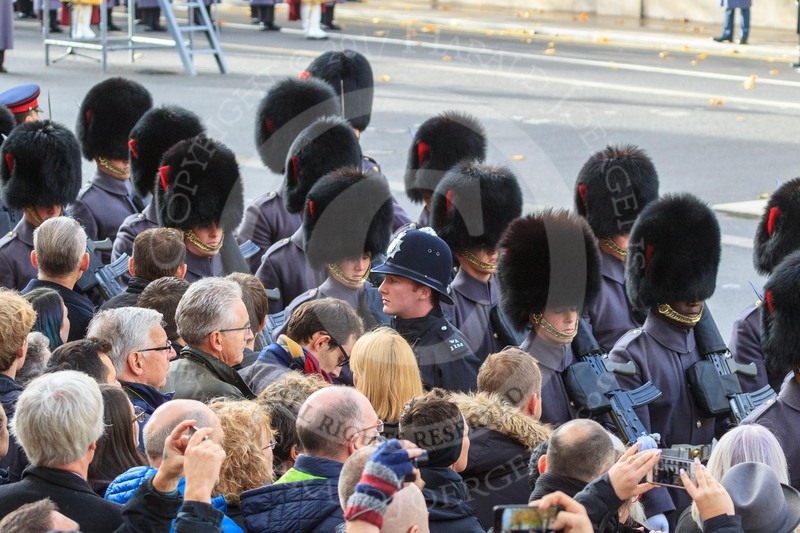 The Band of the Coldstream Guards arrives at the Cenotaph, led by Drum Major Liam Rowley, Coldstream Guards, before the Remembrance Sunday Cenotaph Ceremony 2018 at Horse Guards Parade, Westminster, London, 11 November 2018, 10:25. 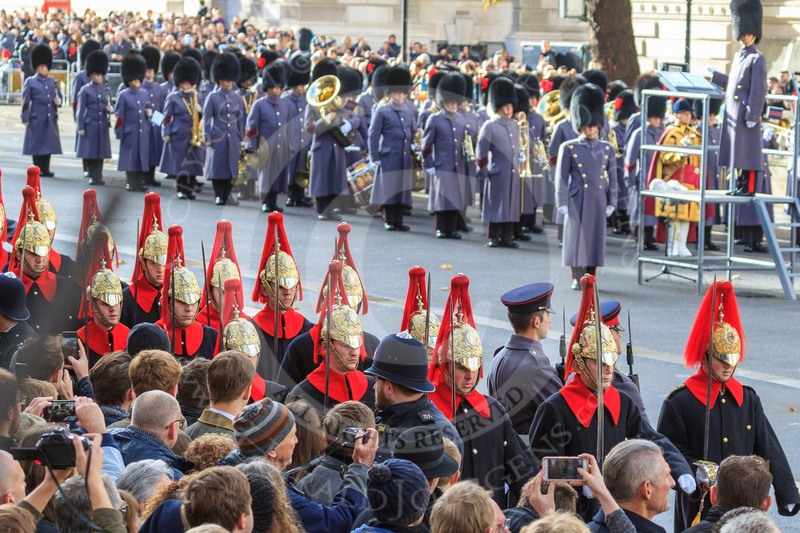 The second of the Massed Bands, the Band of the Welsh Guards, arrives at the Cenotaph, led by Drum Major Gareth Chambers, Irish Guards, before the Remembrance Sunday Cenotaph Ceremony 2018 at Horse Guards Parade, Westminster, London, 11 November 2018, 10:25. 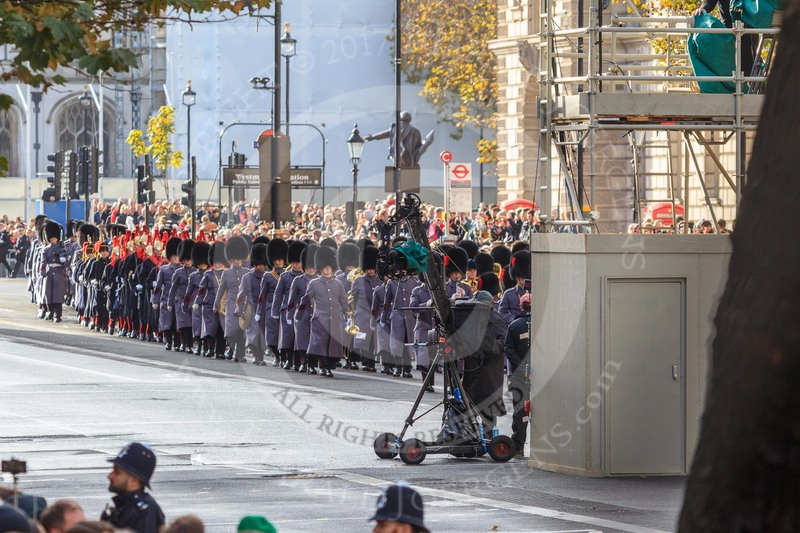 The Service detachment from the Household Cavalry arrives on Whitehall before the Remembrance Sunday Cenotaph Ceremony 2018 at Horse Guards Parade, Westminster, London, 11 November 2018, 10:25. 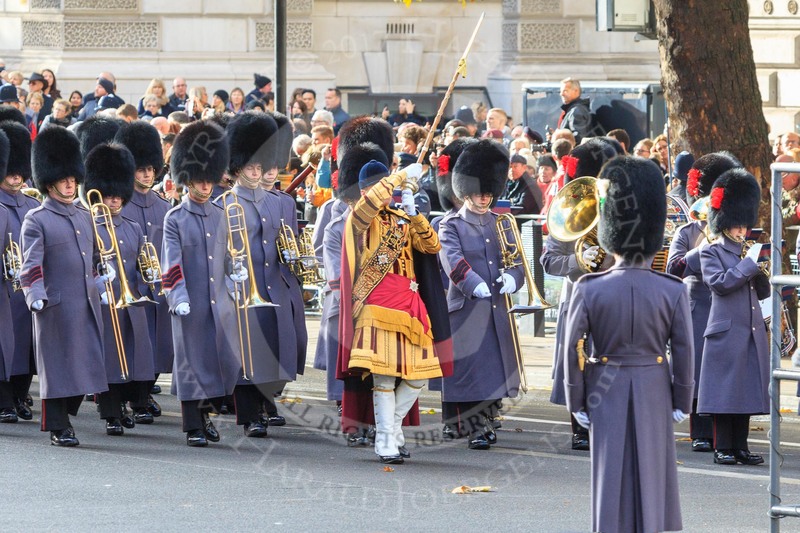 The Service detachment from the King's Troop Royal Horse Artillery arrives on Whitehall before the Remembrance Sunday Cenotaph Ceremony 2018 at Horse Guards Parade, Westminster, London, 11 November 2018, 10:26. 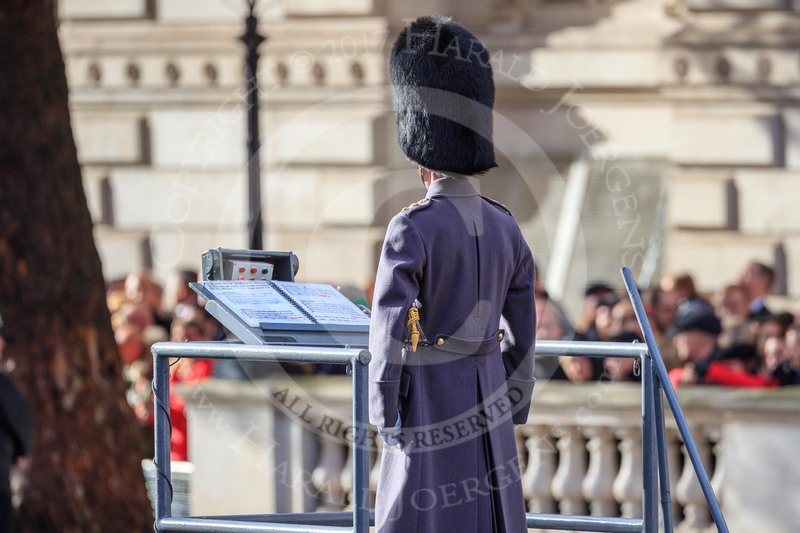 The Service detachment from the Army arrived on Whitehall before the Remembrance Sunday Cenotaph Ceremony 2018 at Horse Guards Parade, Westminster, London, 11 November 2018, 10:26.